Home>Antarctica Bound: To Boldly Go Where No Shake Has Gone Before! Antarctica Bound: To Boldly Go Where No Shake Has Gone Before! Dr Kate Winter, is a Vice Chancellor’s Research Fellow, working in the Cold and Palaeo Environments Group at Northumbria University in the UK. She set up two Raspberry Shakes in Dronning Maud Land, East Antarctica in January 2019. In October 2018 I was surprised and delighted to be awarded the prestigious Baillet Latour Antarctica Fellowship, funding two field seasons at the Belgian Princess Elisabeth Antarctica Research Station – Antarctica’s first zero emission base. 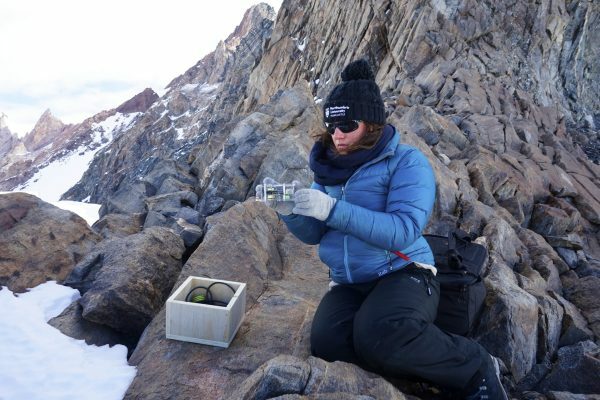 For this fellowship, I wanted to use a number of innovative terrestrial monitoring techniques to investigate the volume and frequency of rock fall from mountains that stick up high above the East Antarctic Ice Sheet. 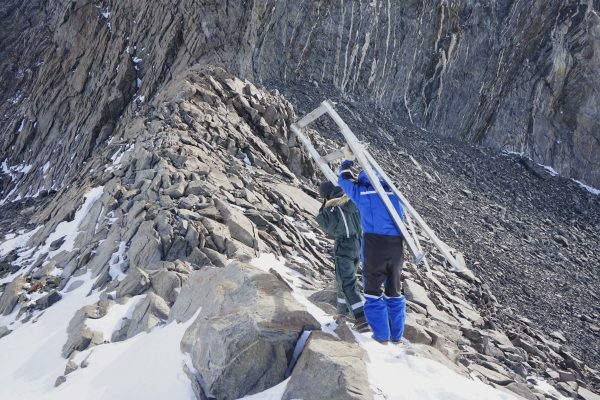 The idea was to combine this with more conventional ground penetrating radar systems allowing us to peer into the ice that surrounds the mountains and monitor the transport of rocks and sediment through the vast glacial system. Having recently discovered Raspberry Shake seismographs through a colleague monitoring landslides in Scotland, I was excited to learn that Antarctica was the only continent on Earth where Raspberry Shakes had not yet ventured – a challenge myself and my team were more than happy to rise to! The Princess Elisabeth Research Station is nestled in the Sør Rondans Mountains in East Antarctica. 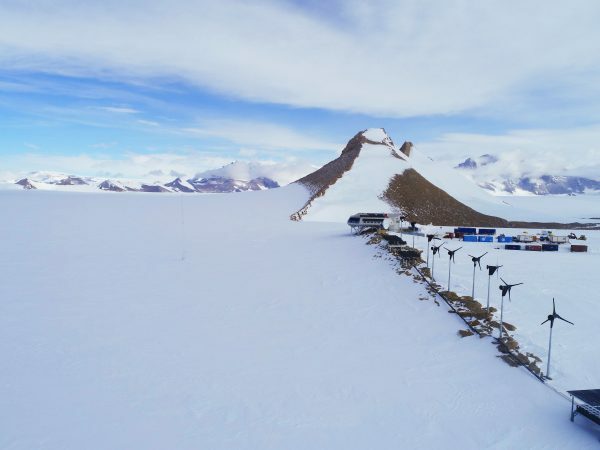 Built in 2009, this is the first zero-emission base in Antarctica – powered solely by wind and solar energy. Antarctica is a very difficult place to live and work so we have to prepare ourselves, and our electronic equipment for the harsh environmental conditions. Personally, that requires a shopping trip to buy some new thermals, followed by a number of medical and dental checks to make sure we have no underlying health conditions that could flare up in Antarctica – as it would take us almost a day to reach the nearest hospital if the weather conditions for flying were perfect. Professionally, we have to scrutinise all our scientific equipment (weighing in at over 100 kg) to make sure that the electronic equipment is as optimised for the cold as it can be, and that we have ever nut, bolt and cable to install, fix and adapt our systems in Antarctica. We can’t just pop out to the shops to get a new HDMI cable for the Raspberry Shakes if our first one snaps in the cold! Having determined the optimal programming setup and power requirements in rural Scotland, Dr Rupert Bainbridge helped to get the Raspberry Shakes up and running for their swift Antarctic deployment. To increase battery life in the extreme cold of the Antarctic, the Raspberry Shake 1D’s were stripped bare of ‘luxuries’ like GPS tracking. As fast, reliable internet is as much of a dream in Antarctica as it is in rural Scotland, internet connectivity was also disabled. Whilst this would prevent our team from collecting 3D data or live streaming, we are hopeful that a whole host of Raspberry Shakes will soon be pinging data from Antarctica to the world wide web, helping everyone to learn more about the vast frozen continent we love to research. We set off for Antarctica on the 14th of December for a 7 week research expedition. During this time my team and I successfully installed and maintained a Raspberry Shake 1D on the ice collecting lots of fascinating data on its movement and its response to variations in solar gain as warm sunlight during the day fades into cooler midnight sun. To protect the Raspberry Shake from blowing snow we drilled a wooden box into the polished blue ice surface using long ice screws. We then placed the Raspberry Shake and a power bank into the box. Replacing the power bank every three days was one of my favourite things to do. 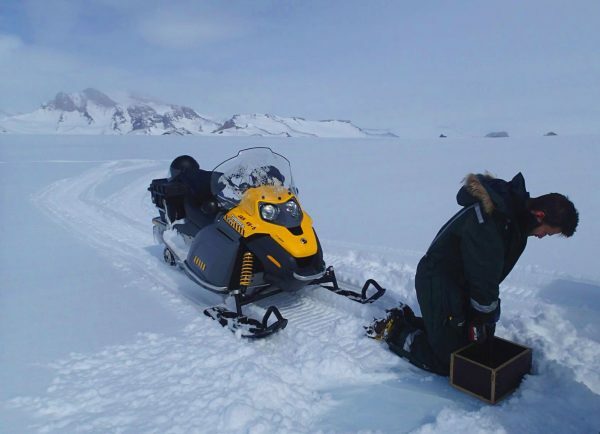 It was a lovely drive out on the skidoo, but if we were to install the Shake on ice again, we would probably take a larger battery with us to Antarctica! We only planned to install one Raspberry Shake for the winter season so this unit only came to Antarctica as a back-up plan! Once we knew both units survived the journey to Antarctica we thought we would test how long a power bank could keep the Shake running. Turns out we could easily get three days out of them. Good to know for short term surveys! 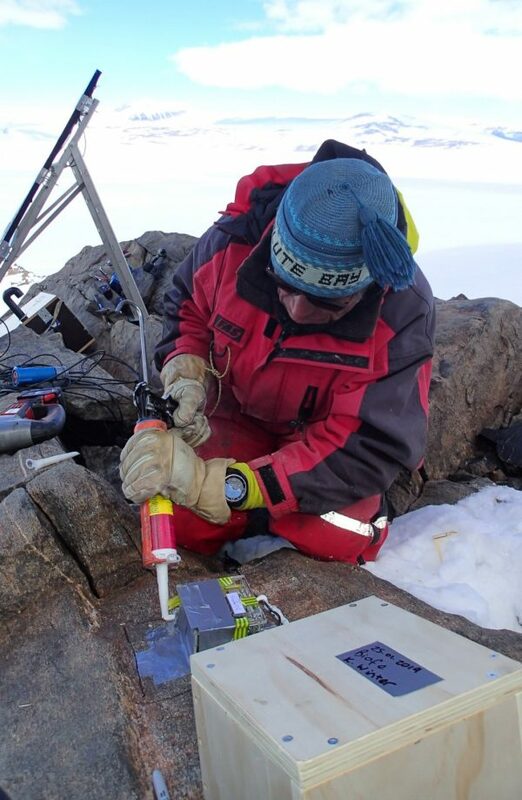 We also managed to install our second Raspberry Shake 1D, in a more permanent location on a mountainous ridge, where it will hopefully continue to collect data on the frequency of rock falls in the area during the long, cold and dark Antarctic winter. In this photo Kate is adjusting the screws on the Raspberry Shake case so that the seismometer can be leveled on the bedrock surface. A tricky thing to do with gloves on! 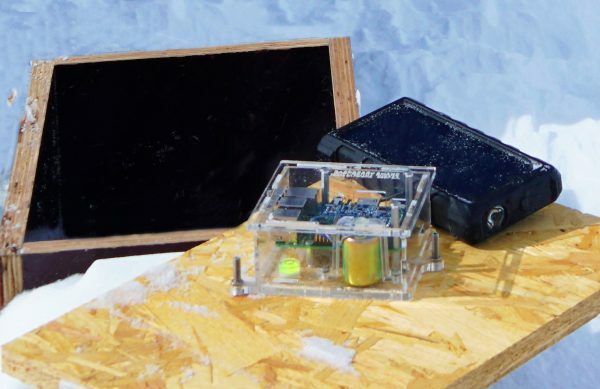 To prevent the Raspberry Shake from blowing away in the ferocious Antarctic wind, or being infiltrated by blowing snow a protective outer box was constructed out of wood and glued to the rock surface, above the secured Raspberry Shake. I could not have achieved these two installations without the help of my amazing colleagues, the Raspberry Shake online community and the team at the Princess Elisabeth Research Station. Their intimate knowledge of high-tech, cold weather engineering to devise renewable energy systems and insulated battery boxes, as well as a protective screwed and glued down Raspberry Shake outer case to prevent the unit from blowing away in an Antarctic storm, was all essential to our trips success. The Research Station Manager told me ‘geologists always want to go to the most inaccessible places’ – and that we did. We are very grateful to the station staff who carried the solar panels, their A frame up, and some batteries up this rather tricky slope for us so that we could place the Raspberry Shake in our favourite site. 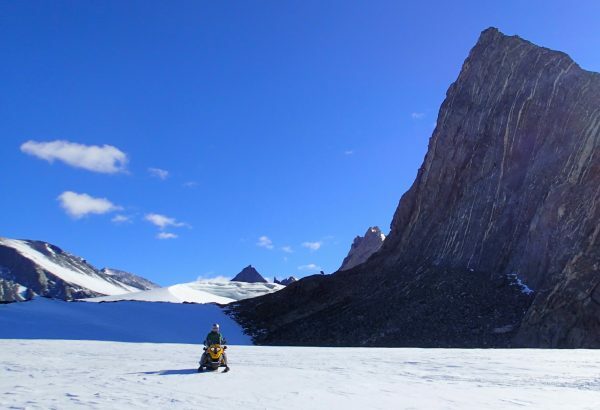 Once the Raspberry Shake was secured and running the team returned to the Station by skidoo – with one last glance back at the towering mountain, and our solar panel A frame, which you can just see perched on the bedrock ridge. When I return to the Antarctic next year to collect the data, I have strong hopes to see the flashing lights of the Raspberry Shake still operational, but I know that nothing is ever easy in Antarctica. It is likely that this will be the first of many trials and tests in the journey to build up to continent wide monitoring of slips and cracks in the ice sheet, and the majestic mountains the ice flows past. There is still so much we don’t know about the vast mountain ranges and ice flows in Antarctica. Raspberry Shakes allow us to collect data when we cannot venture out to the mountains in Antarctica, during the coldest months of the year where temperatures frequently plummet to -40 degrees celsius. We look forward to returning to Antarctica next year, to see if the Raspberry Shakes can tell us when the rocks are fracturing, breaking and moving. This will let us know how much rock is entering the glacial system, and moving towards the coast, where the nutrients they contain could feed phytoplankton blooms, drawing down atmospheric carbon dioxide. It’s great that Raspberry Shakes are involved in this cutting edge climate research. A huge thank you to Dr Kate Winter and her team for sharing their story. Join the Raspberry Shake community: Get yours today!